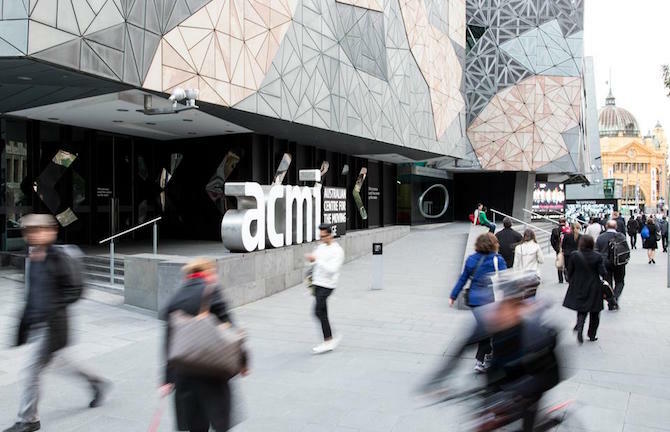 The Australian Centre for the Moving Image (ACMI) celebrates, explores and promotes the moving image in all its forms—from film and television to digital culture. Across its thirteen-year history, ACMI has hosted award-winning Australian and international exhibitions about video games, Stanley Kubrick, Hollywood costumes, music videos, Pixar, David Bowie—and, most recently, SCORSESE . Through these exhibitions, as well as its films, festivals, live events, creative workshops, education programs and resources (including the huge collection of audio and video content in the Australian Mediatheque), ACMI provides excellent ways to engage with screen culture.